Our International Seafarers’ Welfare Awards give seafarers the chance to say thank you to the companies and organisations who have offered them high quality welfare services and facilities. In a series of interviews over the next few weeks, we’ll be talking to the winners of 2018’s awards, which were presented at our ceremony in Geneva back in April. This week, we’re talking to Kristen Beattie, Group Communications Manager at Wallem Group, which won 2018’s Shipping Company of the Year award. Tell us a bit about the shipping company you represent. Wallem Group offers a range of maritime services to the global maritime industry, including Ship Management, Ship Agency, Commercial Services, Crew Management and Technical Services. Wallem also offers a number of 3rd party maritime services covering marine procurement, lifeboat repair and maintenance. The company was founded in Shanghai in 1903 and has experience over its more than 115 years in managing a range of different vessel types including dry bulk carriers, tankers, multi-purpose vessels and PCTCs. 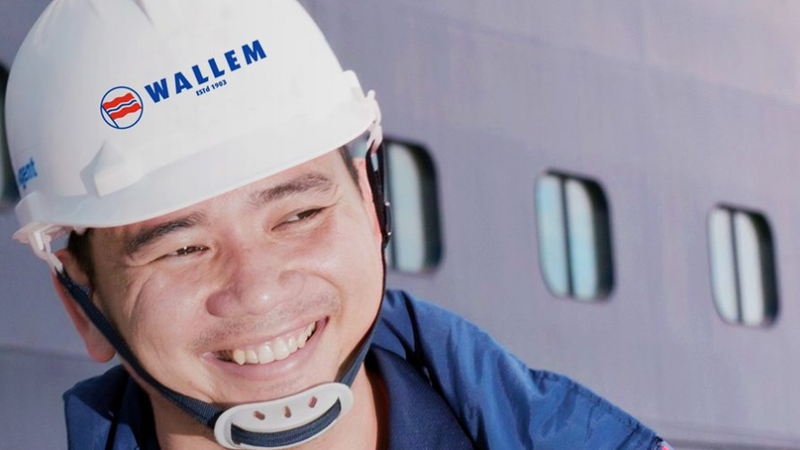 What welfare services and facilities does Wallem provide for seafarers? Wallem has a comprehensive wellness@sea programme which is covered in pre-joining safety briefings and included in all training sessions and incorporates dignity@sea training to ensure a respectful and professional workplace environment onboard. A hard copy of the guide is also given to all seafarers upon joining and they are given a designated email address through which they can raise concerns on any issue without fear of bias or retribution. Wallem also encourages social activities onboard to help build and strengthen relationships and hence improve teamwork. We are committed to helping our seafarers have access to all the information and support to meet their needs regarding welfare, both onboard and in visiting ports. What do you feel makes Wallem stand out among other shipping companies in terms of seafarers’ welfare provision? What makes Wallem stand out is that we believe that welfare and safety – and indeed operational excellence are all intertwined. Respect and support for seafarers is integral to Wallem’s strong safety culture. Therefore, having a crew whose wellbeing, mental and physical health is prioritised is key. We also take a holistic approach to wellness, incorporating support to our seafarers’ families back home via the Women of Wallem. Having seafarers who feel engaged and positive is essential to boost morale onboard and ensure that the focus is on operational excellence and safety. You previously won the Shipping Company of the Year award in 2014. Since then, you have introduced your wellness@sea programme for seafarers’ health and wellbeing at sea. Tell us more about the programme. We feel very strongly about looking after our crews, ensuring that they are well looked after onboard, that their families back home are supported and that we do the right thing by them. This commitment is formalised in our holistic wellness@sea programme which was developed in conjunction with a clinical psychologist. It addresses mental and emotional health and covers every aspect of wellbeing at sea, from stress management to healthy eating and the importance of quality sleep and exercise; as well as a positive working culture and behaviour. What effect has winning the Shipping Company of the Year award had on the company? We are incredibly proud to win this award in recognition of our efforts towards seafarer welfare, especially as it was our seafarers who voted for us. It is proof that our efforts in ensuring we provide the best welfare we can for our seafarers have been communicated well and effectively applied onboard. This is also reflected in our high rate of seafarer retention. Winning this prestigious award is undoubtedly great for morale, both on shore and at sea. Why is the role of shipping companies so important in seafarers’ welfare? We believe that shipping companies owe this to their seafarers – at Wallem we promise to provide our seafarers with a working environment onboard that is safe, professional, supportive and respectful, in return for a commitment of high standards of safety and environmental compliance from our seafarers. What plans does Wallem have for the future? We are confident that our welfare guidelines are in line with and exceed those currently being shared in the industry by various bodies. However, we welcome more industry attention on this important issue. We are currently looking at our guidelines along with our clinical psychologist to see if there are any best practices that we can learn from. We recently carried out a seafarer engagement survey and are looking at the next phase of supporting our seafarers in managing the impact of internet and social media use onboard from an overall holistic perspective. The welfare of our seafarers – and indeed their families back home – will remain our main priority – as we believe that it simply the right thing to do as a responsible company and that it is critical for operational safety and excellence.